New version with the DLCs is up; the install error should also be fixed. For those of you still getting install errors, make sure you have the new version of the mod; if you do have the new version, please post a copy of the error message you get. This installed fine for me with both MO2 and Vortex. Mod is incompatible with VR mirror and maybe Flower girls too. would be nice if you included some screenshots so we can see which ones are nice and which ones are ugly. I have a problem. It doesn't rly bother me that much but wanted to post what it was anyway since if I can fix this it will make the mod better for me. In the description it says that some of the gauntlets cut off at the wrist but for me all of them do that even the dragonbone ones. Is this a common problem or is this normal? I have the same issue. 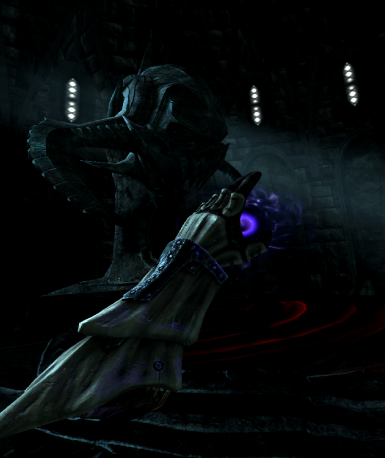 I've seen videos and screenshots of full gauntlets using this mod, but every single one is cut off at the wrist for me. It looks really bad. Has anyone managed to fix this? This mod is great. I would really like to see someone incorporate hands into Fallout 4 VR. It adds so much immersion in my opinion. Please for the love of god. This is one of my favorite VR mods. I hated the look of the vanilla hands, they we actually a bit creepy. Thanks. it doesn't work for me it just takes the default armor of the hands and leaves the hands and the keep hands on doesn't work am i missing something??? Hi! Could you make an update for this to automaticly changes the gauntlets in the game? Also, as you said on description, could you add meshes for these two mods? They are replacers for dark brotherhood and guards/bandits armours. Thanks for your work! The version Im downloading says 1.1 but it still shows as 1.00 and wants an update. Also I cant get it to show in game with or without a weapon out or sheathed. Unsure why Im having this issue. Im really hoping to get this to work as its literally the only one of its kind that Ive found and seeing the vive controllers in game really ruins the immersion. Odd, I'll take a look at it when I get home today. It's not your mod I'm sure, I can't seem to get my hands to show w/ weapons even with the vanilla hands. I have the same issue could it be possibly to do with the beta update and that the ini's are different now. Because it says for me when I go into My Documents, My Games, Skyrim VR, the only ini's are "Skyrim.ini" or SkyrimPrefs.ini"(unless the skyrimvr.ini is somewhere else and I'm a complete dope XP). so I put it in the Prefs because the skyrim.ini was pretty much empty. and I have the same issue where I have the gauntlets when weapons are sheathed and when I get my weapon out, no hands. Hmmm...so I know w/ my setup I was using Bilago's ini tweaker tool which creates a SkyrimVR.ini file. I can make changes in the file which show in game but for some reason I have bAlwaysShowHands= 1 added but it doesn't do anything. You may want to try using that tweaker to see if it fixes your issue.